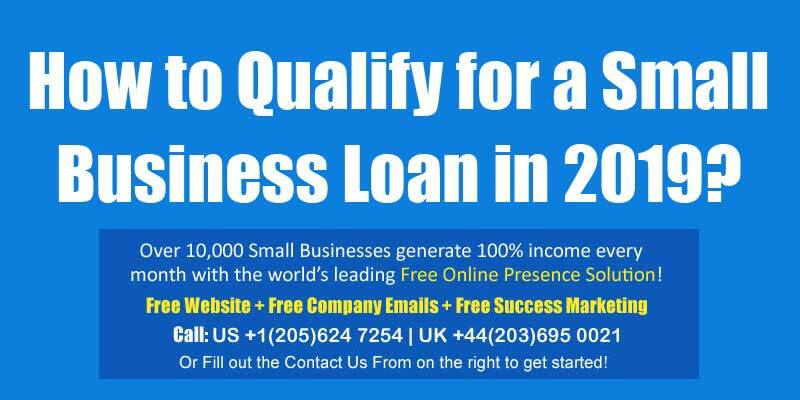 How to qualify for Small Business Loan in 2019? Online Small business Loans 2019. Starting a Small Business is not anything simple especially when you need finances to procure raw material or for renting a space or to purchase machinery for manufacturing items. But not to worry, in this post we will cover everything in detail about Small Business loan and all the sources for easily getting Small Business loans in 2019 to start your dream venture. What do you need to qualify for a Small Business Loan? Many Small firms forced to lay off employees due to lack of financing is at its lowest point in 10 years. The data below shows the percentage of Small Businesses that had relied on various financing options in the year 2017.
Credit cards 31%, Large Bank Loan 15%, Community Bank Loan 14%, Private loan (friends or family) 13%, Vendor credit 12%, Leasing 5%, Small Business Administration (SBA) loan 4%, Online or non-bank lender 3%, Venture capital/Angel investors 3%, Private placement of debt 3%, Credit Union Loan 2%, Selling/pledging accounts receivable 2%, State/Regional Loan and Incentive Programs 2%. According to NSBA data from as far back as 1993, there is a clear correlation to a small business owner’s ability to hire and his/her ability to get financing. According to data from the U.S. Small Business Administration, the most common source of capital to finance business expansion is personal and family savings (21.9% of small firms), followed by business profits and assets (5.7%), business loans from financial institutions (4.5%), and business credit cards from banks (3.3%). Small Business loans can be difficult to obtain at times but there are several private lenders, online lenders and government loans available through SBA (Small Business Administration) to help your small business dream come true. We have listed some of the top small business loan companies that take minutes to evaluate your online application and qualify for a small business loan. We have also taken into consideration various factors such as customer service ratings, product availability and loan terms before listing the top online small business loan companies in 2019. The lenders listed below are very popular and reliable and have been in Small Business Financing for several years now, however it is recommended that you must do your own research to pick up the best lender that suits your financial needs. You can apply for quick access to up to $250,000 with a Kabbage line of credit. Kabbage is based in Atlanta and it has extended more than $4 billion in financing to small businesses around the world since 2009. Kabbage has an automated lending platform for a quick application process. Up to $250kline of credit. Qualify in10minutes through an automated online lending platform. You can decide when to use funds and how much to take. As long as you have available funds, you can withdraw every time you need capital. Securely link your business information online to get an automatic financial review. This lets Kabbage evaluate your business right away without requiring you to track down financial statements. If you are based in California, Arizona or Nevada then you can check with CDC for small business loan options. It’s a trusted nonprofit with more flexibility than a bank. Getting a loan from CDC loans just takes 3 easy steps and you can apply for a loan online. It has extended more than $18B in funding to over 11,000 borrowers. It is a platform that helps you connect with over 75 nationwide lenders that offer small business loans. All you have to do is complete an online application and lendio’s proprietary algorithm matches you with loan options from a nationwide network of esteemed lenders. There are several types of loan options that you go for such as Line of Credit, Equipment Financing, Term loan, Commercial mortgage, Credit card, startup loan. Apply online in just 15 minutes for a loan. Several types of Loan options available for unique needs. It doesn’t matter how confident you are about your business idea or plan, lenders look at your business from completely different perspective and determine whether your business is worth the risk or not. Don’t feel discouraged but in order to qualify for a small business loan you’ll need to have a clear idea about how much money you need to borrow, and have good credit and a solid business plan. The first step is to determine how much money you need – Figure out your business expenses to find out how much of a loan payment you can afford. You can find out how large of a loan your business can afford by calculating your Debt Service Coverage Ratio. Lenders will routinely assess a borrower’s DSCR before making a loan. A DSCR of less than 1 means negative cash flow, which means that the borrower will be unable to cover or pay current debt obligations without drawing on outside sources – without, in essence, borrowing more. Do not borrow money just for the sake of borrowing as you may not be able to repay in the long run if you have no clear picture about your business’s performance and income. There have been a number of cases in the past where businesses were able to borrow large amount of funds, believing they were building a great capital reserve cushion, only to find that the ongoing borrowing costs and interest payments had a crushing impact on their bottom line. As a Small business owners you should be mindful of exactly what terms are really needed and not try to exceed them simply for the sake of having excess cash reserve in the bank. It can impact your bottom line due to accumulating interest on borrowed funds that you need to repay. To minimize risk and ensure you net a positive return on your investment, you can perform a small business loan performance analysis before you commit to taking out a loan. A loan performance analysis will forecast how the small business loan will financially impact your business. Find out your credit score – Having a healthy credit score increases your chances of loan approvals within the due time frame and it is also a crucial part of small business loan application process. Every Lender looks at your personal credit score and takes it into consideration when going through your loan application. Remember, the higher your credit score, the better terms and lower interest rates you’ll get on a small business loan. If you have a sole proprietorship firm then your personal credit may be considered in the business loan application if you are using your personal credit to secure a business loan. Remember, that if you are able to secure small business loan based on your personal credit score, failing to repay it may affect your personal credit history and your ability to qualify for new loan in the future. It is recommended that you carefully review your credit report so that it’s free of errors, identify and resolve any issues with the report. As mentioned above a credit report is crucial part of a loan application and any inaccuracies in your credit report can lower your chances of getting a loan approved and may negatively impact your score. It’s important to have a clear and error free credit report before beginning the application process. You can follow the link to official website of the United States government to find credit reports and all necessary information about credit reports. People who are already in business should check their business credit score. Your personal credit is linked to your Social Security number, your business credit is tied to your Employer Identification Number or taxpayer ID. There are credit reporting agencies that deal only with business credit, such as Dun & Bradstreet. However, a personal credit score on the FICO scoring system ranges from 300 to 850, the range for a business credit score is from 0 to 100. The latest US version, FICO Score 9 is the most current and predictive FICO Score. Like personal credit scores, your payment history, credit utilization and credit accounts affect your business credit score. Public records such as judgments, liens and bankruptcies will be reflected on your report. Other variables, such as the size of your business and how long it has been around, may also be considered. Create a solid business plan –The first step for any business idea realization is to create a solid and comprehensive business plan as it is the foundation of your small business and shows potential lenders how profitable your venture would be. It is important for entrepreneurs, small businesses and startups looking for capital to have a solid, well drafted and professionally presented business plans. You cannot expect a lender to be convinced without a compelling business plan in hand. A brief summary, which provides an overview of your plan. A description about your business and its main objectives. The primary products and services your business will offer. Your target customers, market and your competition. Solid Sales and marketing plans. Organization and management, which includes the setup and responsibilities. You and your management team’s skills and their backgrounds and what role they play in the success of your business. Financials, such as the estimated cost to start or grow the business, a breakdown of ongoing expenses and what the funds would be used for. Appendix section, which provides supporting documents for your business plan. Take help from business mentor – A business mentor can help you refine your business plan, connect with resources and guide you in the right direction. You can find a business mentor through professional associations, former employers or through SBA (Small Business Administration). Taking help from an experienced business mentor increases your chances of qualifying for a loan. Look for local resources available for small business owners – Local business resources such as SBA District Offices and Score chapters provide free counselling, mentoring and training to the small business owners to help them equip with all the knowledge required to start a successful venture. You can receive free counseling, advice or financial assistance for your new small business and in case you’re a veteran with strong credit, you may qualify for a guaranteed loan through a Veteran’s Business Outreach Center. Business lease (either a copy of your current business lease or proposed lease from landlord). Business formation document, such as articles of incorporation or LLC filing. Copies of contracts you have with any third parties, such as subsidiaries and affiliates. No matter what your business idea is or what industry you choose for building your small business, having access to the funds can make a huge difference to your business. Small business loans are available through banks, private lenders and government institutions for small businesses but it is completely upto the lender whether to fund your venture or not. Points mentioned above can help you prepare in advance before applying for a small business loan in 2019 and increase your chances of qualifying for a loan. Find Small Business grants to fund your small business. 9 great sources.